If you want to ensure your privacy and browse the Internet privately, today we are offering to you one of the best solutions ever! We present to you this amazing productivity app called VPN Master Pro, developer by ALL Connected Co. and released on the iOS platform. This is a VPN tool like you’ve never experienced before, it is user friendly and designed with smooth and great graphics. Visiting your favorite online sites and app on your device can be private and more secured with the VPN Master Pro app. It is faster, smoother and more easy to use than the already existing apps on the App Store. The app brings high-speed and encrypted VPN connection to your device and protects your network traffic under Wi-Fi hotspot. With it, you can freely browse anonymously and securely and forget about being tracked ever again. 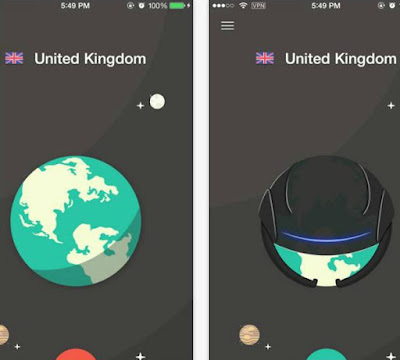 This VPN app works with Wi-Fi, with LTE, 3G, and all mobile data carriers. It only requires iOS 8.0 or later and just a quick download. You don’t have to register and make a personal account – the app cuts down that hassle. VPN Master Pro is ideal app for visiting your favorite websites and it’s compatible with both iPhone and iPad. Download it today, you can find it on the App Store for only $2.99.